It’s funny, a few people have said to me that they think it will be easier to try and focus on one plastic of the four, the thing is the four biggest are just the tip of the iceberg that we can see. I’ve been thinking a lot this week about ‘hidden’ plastic. For example, what restaurants use to prepare our meals, the plastic hiding in tea bags, the plastic packaging of so many products we use every day! It’s overwhelming… hence focusing on the Top 4! 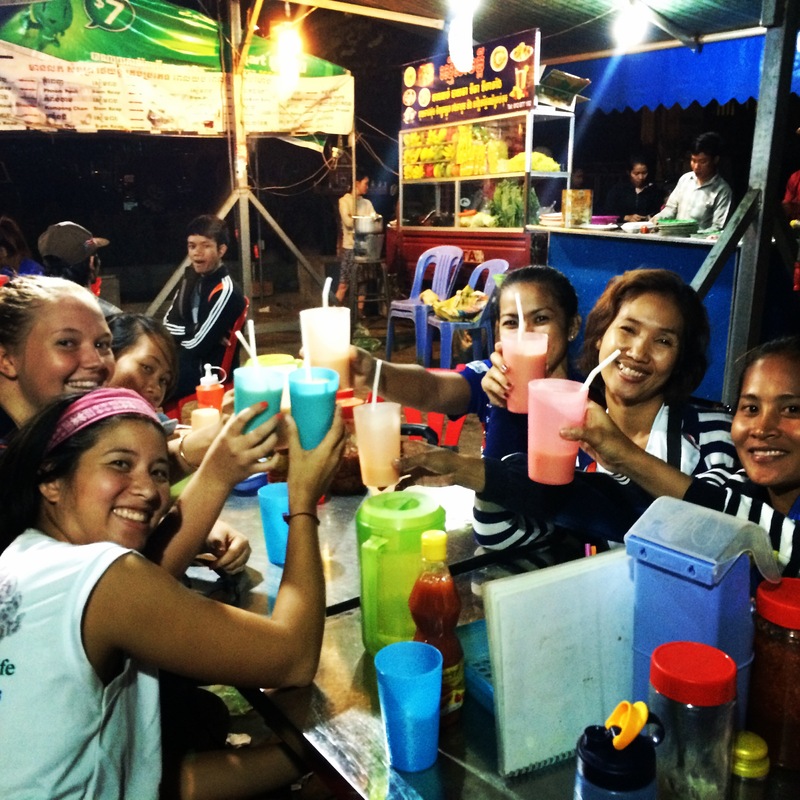 It is possible to get by in Cambodia without using plastic water bottles, a bit of organisation and know-how and it’s quite easy. 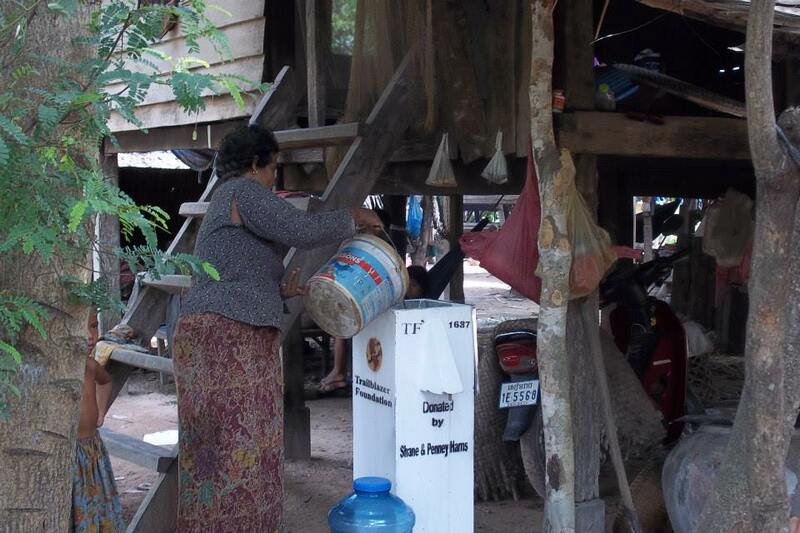 Remote areas of Cambodia will have large clay/terracotta pots with drinking water in them, Trailblazer Foundation have done a tremendous job at providing remote communities and NGOs with water filters and a lot of restaurants have filtered or 20L bottled water. In Phnom Penh and Sihanoukville a lot of guesthouses have water filters and will refill your drink bottle for 1-2,000 riel (25-50 cents). I did an experiment over the last week, if I used single use water bottles, I would have consumed around 28-30 500ml bottles – just me, just one week. It would have cost $3.50-$3.75, instead by using the 20L bottle it cost me around $0.50 for the whole week! So… over a year $26 versus $195. Cost effective and better for the environment don’t you think? Myth! A lot of discussion occurs around minerals in water that are filtered out for the bottled water we drink. So I asked my doctor if I was missing out on any essential nutrients because of this. She told me the only mineral I need is fluoride, which I get in my toothpaste (foils my plan to go to plastic-free toothpaste, but there you go). This is absolutely the easiest thing to avoid – easy!! 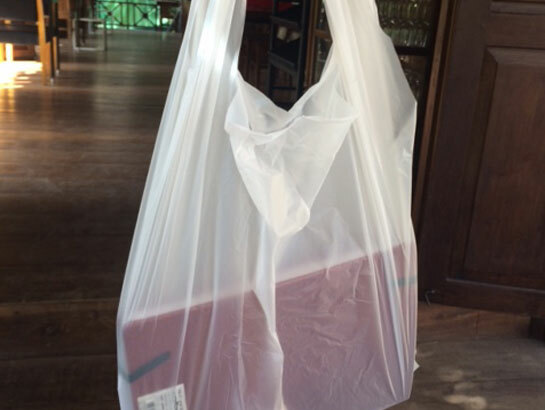 I always take my own bag shopping and I’ve easily been able to avoid plastic shopping bags. Lessons learned when market shopping and I now have a container and some jars so I can buy tofu, coconut milk and fresh cut fruit without the need for a bag. Simple. Something new on the horizon will be kasava starch bags…. soon soon. Okay… this is the hard one! I take a bamboo straw with me everywhere, I ask in Khmer for no straw, I choose drinks I know won’t come with a straw and… with a week to go, I have accumulated at least a dozen straws in July 😦 Help!!!!! Please send in suggestions, advice, anything to help combat straws… small but nasty!